Adam has a varied and impressive portfolio in both the Acting world and in the specialist field of Skin Work. 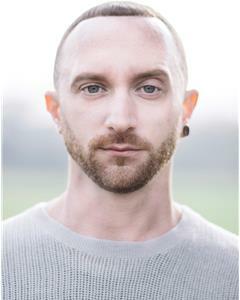 Also a highly trained dancer, Adam has all of the qualities, physicality and skillset required to enable him to perform as a Movement Artist to a very high standard. As a mainstream Actor, Adam has some impressive credits to date and is very keen to continue to develop this area of his profile as well. We are extremely excited to welcome Adam on to our books in 2017.